Finger Lift +- Campbell International Specialist Tapes. This tape has a very high tack and is perfect for non-critical applications where a high grab permanent bond is required. 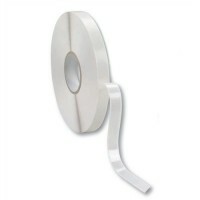 This tape is produced with a slight finger lift edge to enable the liner to be removed quickly by hand. Typically found in the business forms, window posters and poi.. Please Note: This is a call to order product, simply call our sales team on +44 (0)1732 773364 to check current prices and place an order. All Tapes can be dispatched within 7 days. Campbell's general purpose hand tearable double sided finger lift tissue tape is a great value tape f..